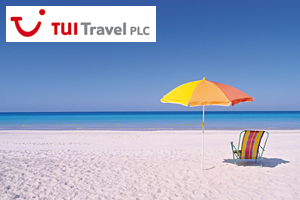 TUI have announced that they will increase Swansea Workforce with 15 Contact Centre Jobs over the summer months to improve customer service levels. The holiday company, who currently employ 600 staff at their Swansea contact centre have commenced a recruitment drive and training programme with immediate effect. “The teams based at the new office will be responsible for customer contact, including operating the social media channels on a 24/7 basis, to give Thomson and First Choice customers advice regardless of the time of day. The office is also home to the UK & Ireland payroll team and dedicated IT support personnel. “The decision to base the contact centre in Swansea was largely due to the multi-skilled, positive and engaged workforce based there. “As TUI UK & Ireland continues to deliver even greater service to customers in an efficient and seamless way, it will also look to grow the number of employees at Alexandra House. Be the first to comment on "TUI increase Swansea Workforce with 15 Contact Centre Jobs"